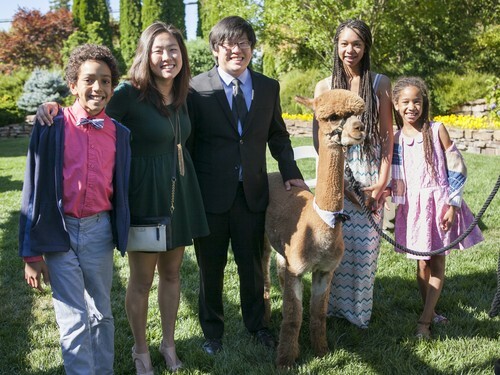 Make Your Special Event More Fun! We would love to host weddings here, but unfortunately we CANNOT. What's the nest best thing? We'll bring the alpacas to your venue! 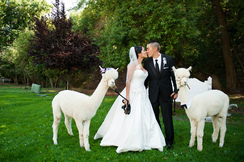 Is it your dream to include alpacas in your wedding or special event? We can help you! We are open to a wide variety of scenarios and will customize the plan to make your event even more special. Check out some of our photo albums for ideas. Just contact us to discuss how we can help. But please plan ahead and contact us as soon as possible as we are starting to get multiple requests for the same day. We'll be happy to give you a free quote! 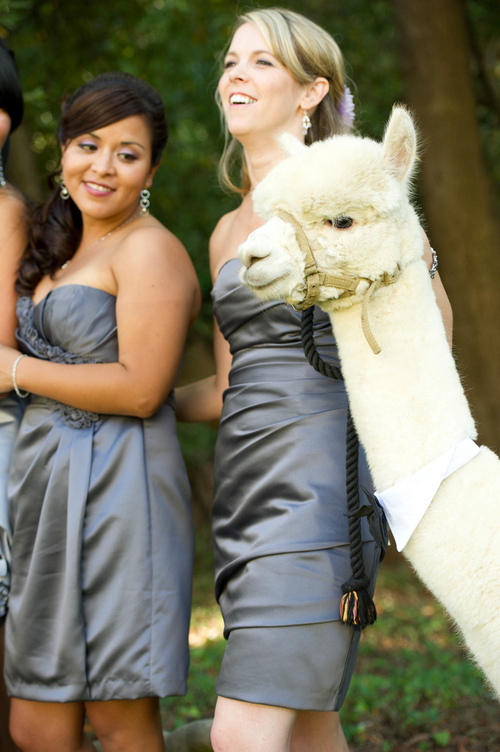 For a quote, we will need to know the date, venue name and location, and length of time the alpacas will be needed. You will need to consider what role you want them to play, such as pix with the wedding party, meet and greet guests before the ceremony or during the reception, or something else.